The narcissist says things like "how do you know we'll be together in two years", or "we should sign a prenuptial agreement when we get married." Is it your imagination, or was the narcissist just warning you of things to come? You don't want to seem as though you are crazy by making off-the-wall assumptions or predicting the future, but the narcissist drops hints of impending doom. You are never sure when to call his bluff. The narcissist isn't conscientious of others, or agreeable. He sees himself as a man's man. He sees himself as being resourceful and self-supporting. He is resentful of his need to connect with or work with other people. He will constantly remind other people that he doesn't need them around. He insists on taking care of himself, and relying on others must mean that he is weak. He resents anyone else who tells him what to do, or how to do it. Learn everything you can that is your tool. Snow is completely accurate ALWAYS. Thank You! hit it right on the NOSE. this book helped me get my thoughts and feelings together. thank you. 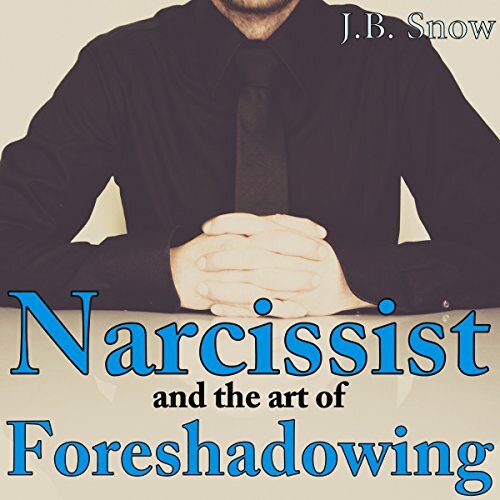 Acording to JB Snow, only men are narcissists. The author is using only "HE" or "HIS" everytime is talking about narcissists. Would you ever listen to anything by J.B. Snow again? NO !!! The author is a misandrist, a men hater !! !